Our 17th October 2018 Coins Auction was very well attended by our keen customers and no wonder with over 530 lots for them to bid on. The auction began with the English coins section. 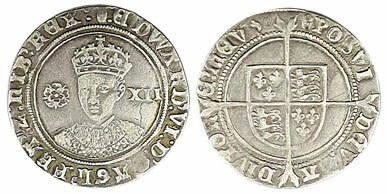 This Charles I Oxford Mint 1642 shilling realised £480. In the milled English coins section this 1692/ over inverted 2 crown sold for £750. This 1716 guinea achieved £1,050. This 1787 spade guinea realised £540. And this unusual 1981 20p Royal Mint Trial Experimental Coin sold for a very respectable £276. In the British Gold Coins section this 1817 sovereign sold for £1,200. This 1825 bare head/ shield sovereign graded as extremely fine achieved £720. And this 1836 sovereign graded as nearly very fine/ very fine realised £840. In the British modern coins section there were several error coins. Arguably the highlight was this 1983 £1 to ½p ‘The Great British 1983 Coin Collection’ uncirculated year set which included the 2p ‘New Pence’ mule error which sold for £930. 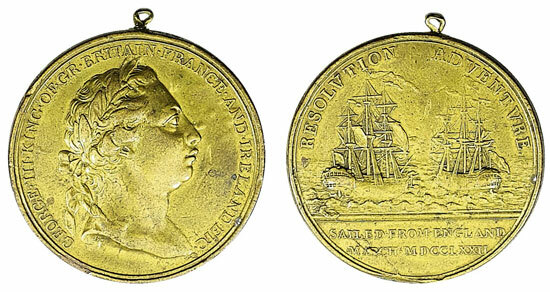 In the medallic and commemorative section this lovely 1772 Resolution and Adventure 42mm brass medal by John Westwood achieved a very impressive £2,100. Our next coin auction will be held on Wednesday 12th December 2018. Look out for the full catalogue for this sale, which will appear on our website in the next few weeks. Also keep an eye on our Twitter and Facebook pages which will include updates of our latest auction news.